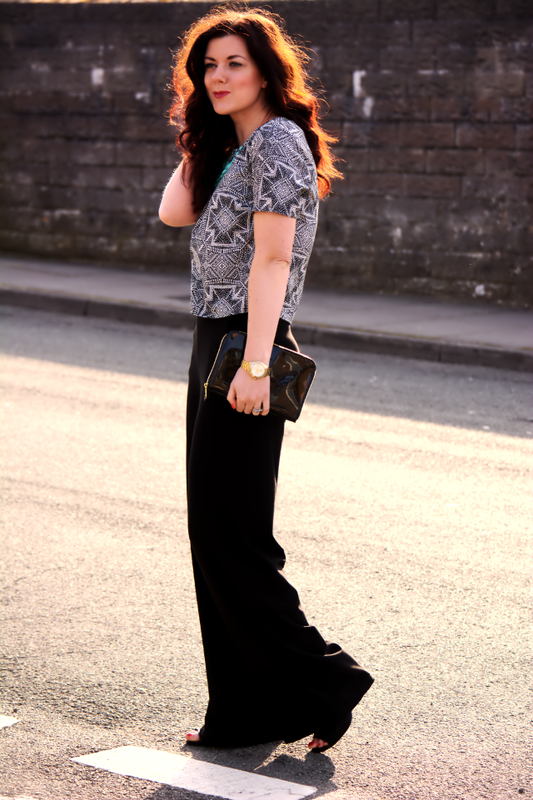 Wide leg trousers…. 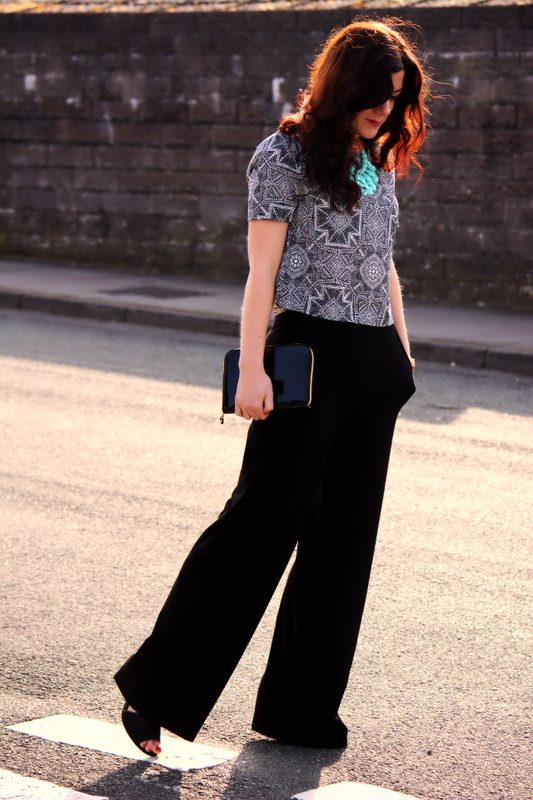 this is my first dabble with palazzo style, wide leg trousers and i like them! I love the silhouette they create, soft and girly yet can be made edgy and very up to date at the same time. wavy hair.. i just can’t get enough of soft waves lately.. the messier the better infact. low maintenance hair is the best. Have you tried wide leg trousers? Are you a fan? I had been wanting to find a pair that weren’t patterned and could be easily dressed up or down. These are from F&F and they are exactly what i wanted. Soft fabric, long length, stretchy and can be dressed up or down. I went for a smarter look with a crop top (!) and some great Naturalizer heels from Lotus Shoes. I think they would also look great with some trainers (stan smiths possibly for those who do?) and a simple white tee and a denim jacket. Perfect weekend wear or for packing light if you’re off somewhere for the weekend, these trousers will work well from day to night! And we all know i love me some multi-outfit items. Light packing is not something i am good at, but with the assistance of trousers like these i think i could be better! And yes, i am wearing a crop top. As someone who carries a multitude of stretch marks after having a rather large baby (all 8lb 8oz of him!!) my tummy area is best left hidden under multiple, multiple layers. BUT, this crop top works with the high waist trousers! Stretch marks tucked away, the crop top trend becomes do-able.If you had told me that 3 years ago i would never have believed you. But sometimes its good to try something new, its just finding a way to make it work for you! So are you a fan of the wide leg or the crop top? I’m looking forward to trying both in different ways, the crop top with some high waisted jeans and the wide leg trousers with a tighter top possibly! 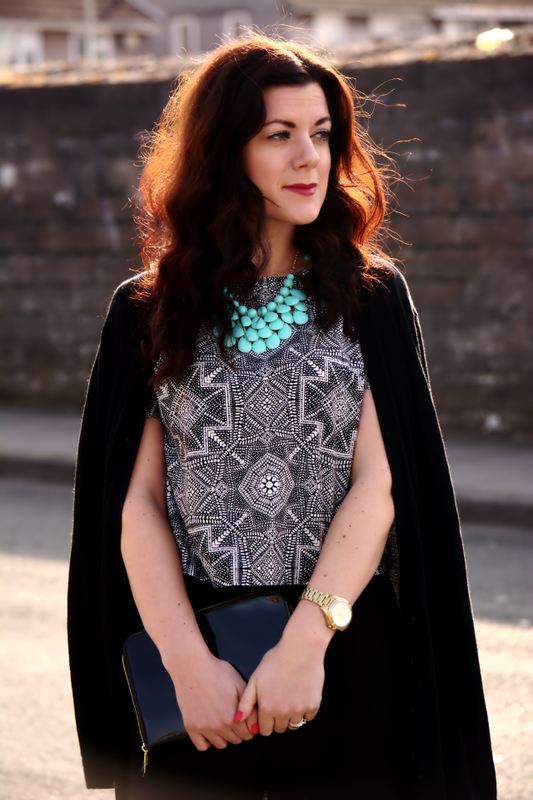 I love those pants and the pop of colour from the necklace. Absolutely LOVE these wide leg trousers!! Gorgeous look. Love this look – so effortlessly chic. I really like wide legged trousers and these ones look wonderful on you. Crop tops are definitely do-able for anybody when paired with anything high-waisted too. The pattern on yours is super cool! I love the silhouette of this outfit! The wide leg pants, with the crop top, with the long coat. And the little teal necklace adds a perfect touch of colour. I absolutely LOVE Palazzo pants!! They are great, because they flatter so many shapes. You look gorgeous! I love the crop top trend when done like this! Love the long jacket with this look! Those pants look great on you, and I love the crop top you've paired them with – what a great print! I love the wide leg pants and the print is very pretty with your top. I am loving the aqua blue color as bit of color with your outfit. Lovely! 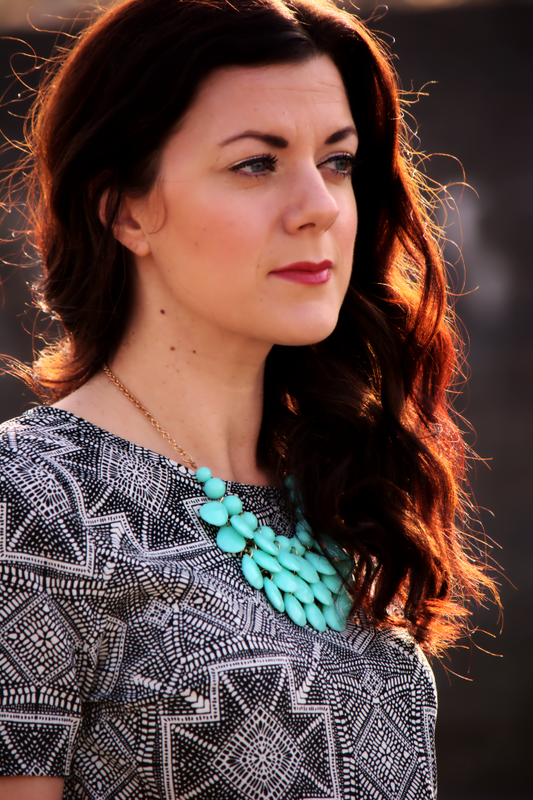 I am inviting you to join in Turning Heads Tuesday link up, would love for you to share your fashion style Rachael!